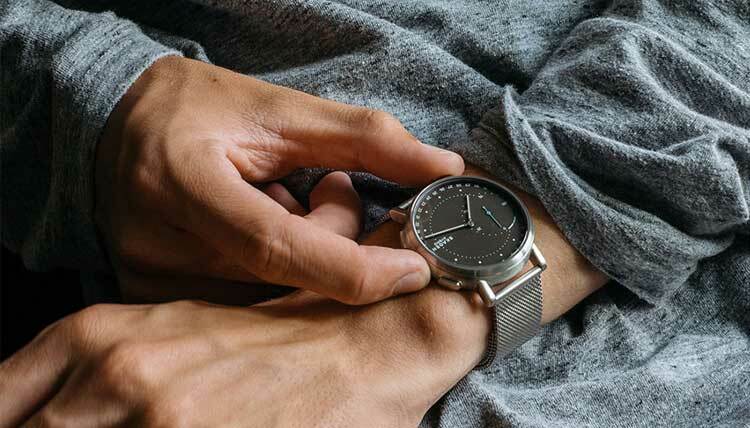 The best smartwatches for men need to be able to perfectly balance functionality and design when it comes to meeting the everyday requirements and connectivity demanded of a modern men’s smart watch. Whether you’re looking for a watch that offers the ability to connect to every aspect of your life and home, or are looking for a device that’s durable enough to handle everything you and nature can throw at it, there are now more options than ever when it comes to finding the best men’s smartwatch to get the job done. In fact, with so much choice out there, the real challenge can be actually deciding on the best timepiece to meet your specific needs in a way that combines timeless design with fully featured, wrist-centric smart tech. Armed with the latest in connected timekeeping technology, there’s not much you can’t do with some of the latest and greatest male focussed smartwatches. From automatic meeting reminders and activity tracking, through to music control, call notifications, and even onboard GPS, the best smartwatches for men are built to get you from home to the office and back again (via any unexpected detours through rainforests or mountain ranges) while letting you max your productivity and still look good in the process. We’ve put together the ultimate guide to the best smartwatches for men to help you find the perfect connected companion for every occasion. Watches have been around for a long time, smartwatches, not so much. With that being said, the market for wearable tech has grown considerably over the last few years with a combination of established names in the world of fashion and watchmaking (think Armani, Michael Kors, and Casio) joining the ranks of tech staples like Apple, Huawei, and Samsung in an effort to design and deliver the best men’s smartwatch. What this means in practice, is that tech functionality and design aesthetic have started to meet somewhere in the middle and the merged result is both beautiful and practical. Gone are the days of smartwatches that look like you’ve strapped a calculator to your wrist. The best men’s smartwatches today are serious, sleek, stylish, and loaded with enough tech to make your smartphone blush. Looking for the best women’s smartwatches? Check out our definitive guide to the best smartwatches for women here. The holy trinity of the best men’s smartwatches ultimately comes down to functionality, durability, and style. Many watches out there will offer one or maybe two of these, but very few deliver the full complement and those that do are worth taking note of. That’s where this guide steps in. Firstly, as with any men’s watch, the best male smartwatch needs to look the part and be equally at home during a board meeting as it is when you’re working out or at the bar with friends. 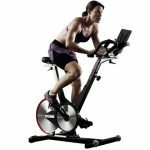 With this in mind, the same rule applies for both durability and the usefulness of the features offered. Most importantly of course, the ideal men’s smartwatch will include an easy to access user interface which allows access to a wide range of smart features to help you get more done with less effort. After all, time is money. The best smartwatches for men on the market today will typically offer smartphone connectivity (notifications, music control etc) almost as a given, with many also providing higher-end specs to let you track activity and sleep patterns, utilize voice assistants such as Google Assistant, and even call on inbuilt GPS to get you out of a tight spot. We’ve put together the definitive guide to the best men’s smartwatches currently available to help you find the ultimate connected companion. So if you’re ready to make the move to a watch that both looks smart and acts intelligently, combining form and function, then our guide to the best smartwatches for men is here to get you started. 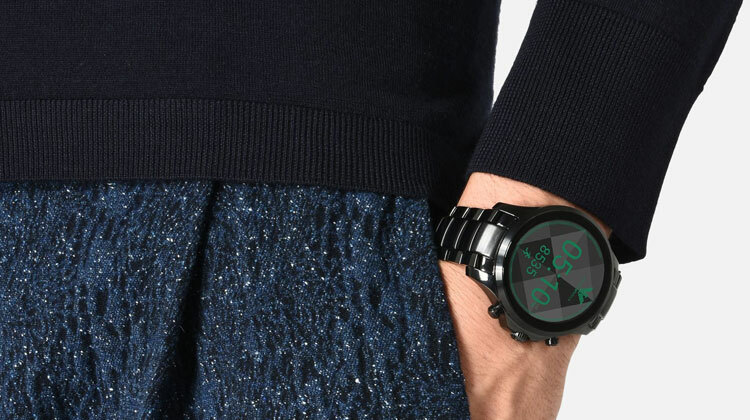 This touchscreen men’s smartwatch from fashion staple Diesel delivers everything you’d expect from a fully featured smartwatch for men from strong looks to tech prowess. Beyond the striking single-link bracelet and fully customizable touchscreen dial, the Full Guard utilizes the awesome Android Wear platform to provide a whole host of interactivity features and connectivity to other smart devices in your repertoire. If you’re looking for one of the best smartwatches for men that takes the traditional look of a larger framed watch case and pairs it up with almost every connectivity feature you’re likely to want on your wrist, then the Diesel offering is certainly a very strong contender for getting the job done in style. 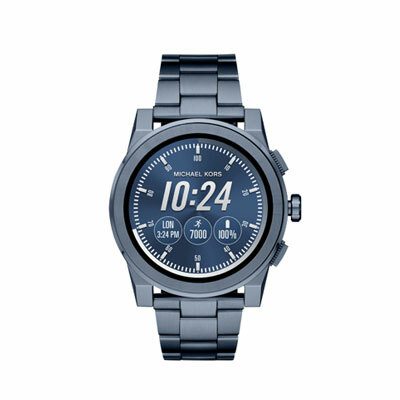 At the top of the list of functionality, this device provides the smartwatch essentials you should be looking for in the best men’s smartwatches from notifications (think phone call and message alerts) through to fitness tracking courtesy of the Google Fit app which allows you to monitor calories burned and distance traveled. The Diesel On Full Guard smartwatch uses Bluetooth to hook directly up to your favorite apps and is compatible with both Apple and Android smartphones with an incredibly simple setup process once paired. Music control is a powerful feature of the best smartwatches and comes as standard with the On Full Guard alongside a built-in microphone and speaker which allows you to access and question the super-useful Google Assistant whenever you’re out and about. The Explorist men’s smartwatch is part of Fossil’s Q range of intelligent timepieces and is the perfect example of a touchscreen smartwatch for men which combines a full feature set with the design aesthetic of a stylish executive watch. 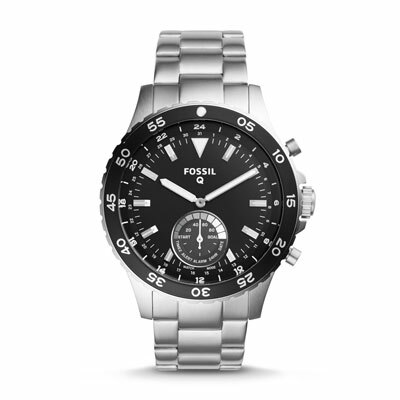 Fossil are an old hand at the watchmaking game and the Explorist continues a recent tradition of the company turning out high quality connected devices that offer a lot of bang for your buck while maintaining that classic and timeless look of an everyday men’s watch. With pretty much every feature you’d ideally want from a men’s smartwatch crammed into the body (which at 45mm is a nice size for a male smartwatch), the Explorist is an excellent choice if you’re looking to go down the touchscreen route but want to keep the traditional look a stylish men’s watch. 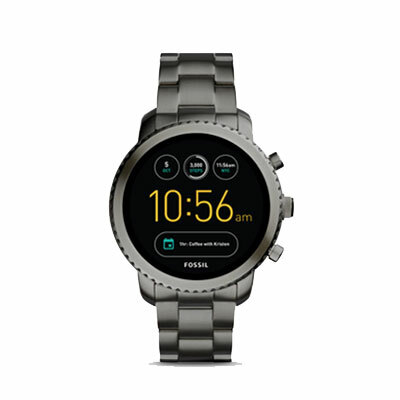 A 45mm case contains all of the smart connectivity features behind the Fossil Q, all of which is accessible via a full touchscreen display delivering everything from texts, calls, and emails through to essential information. 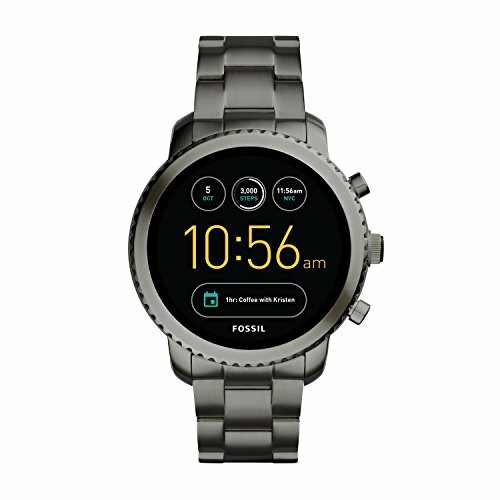 The Fossil Q also offers activity tracking with functionality for tracking steps, calories, and distance traveled making it a good solution as a fitness watch. In terms of battery life, you can expect to get around 24 hours of juice out of the Q Explorist before needing to recharge. When you are out of power, getting back up to full capacity couldn’t be simpler, with wireless, charging built in as standard and a magnetic induction charger included in the box. 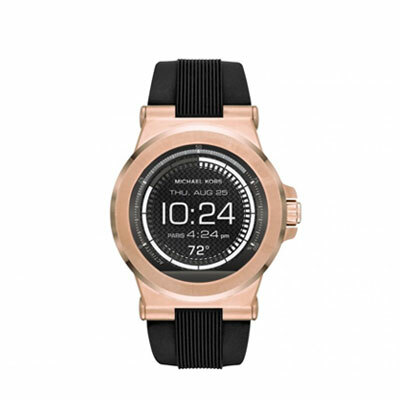 Michael Kors’ foray into the world of smartwatches has been explosive, with the iconic fashion brand flawlessly executing some of the finest connected timepieces with devices combining style with functionality. 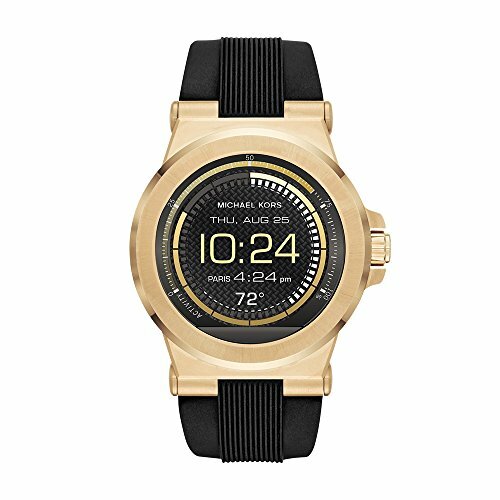 The Grayson is one such example of this in the form of a men’s smartwatch that comes from the Michael Kors Access family of smart wearables. Delivering an executive design aesthetic in the form of a traditional looking 47mm case, the Grayson provides everything you’d expect from one of the best men’s smartwatches with a full feature set offering activity tracking and music control when wirelessly synced to your phone. Alongside an uber-sleek design, the feature set on the Grayson is arguably where it shines brightest with the device providing everything you’d want from a top men’s smartwatch that does it all. 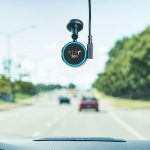 Android and iOS Bluetooth connectivity form the backbone of the communicative smart tech in the Grayson and allow you to tether the watch to pretty much any phone that runs the minimum OS specs. Once you’re paired, you’ll be able to pull notifications and alerts direct from your phone as well as controlling music via your watch. Water resistance to 30m means that the Grayson is going to be able to handle splashes and brief immersion (think washing the dishes or dropping in the tub), but may not be the best fit if you’re after a watch that you can take to the pool or the ocean for a swim. In terms of size, the Grayson men’s smartwatch comes in at a case diameter of 47mm with a thickness of around 13mm putting it somewhere in the middle of the sizing scale for a male smartwatch. The main consideration here is that the Access Grayson is a touchscreen smartwatch meaning you’re going to expect a larger footprint (or wristprint?) than you would from a hybrid smartwatch which are generally much smaller when it comes to form factor. Battery life is stated at around 24 hours which again, is about what you can generally expect to see from a full touchscreen smartwatch running a full color display with this level of connectivity and functionality so you’ll be set for daily use but if you’re heading off for a business trip or a long weekend with the wife, you’re going to need to remember to pack the charging kit. The ART3004 men’s smartwatch from Armani is quite possibly our favorite high-end hybrid timepiece due to its ability to effortlessly merge the looks of a classic male watch while still packing an impressive amount of connected tech under the hood. An understated and stylish traditional dial hides the true connected power of the Armani hybrid smartwatch making it the perfect pairing if you’re looking for a men’s smartwatch that exudes professionalism while letting you subtly stay connected to your smartphone happenings at all times. 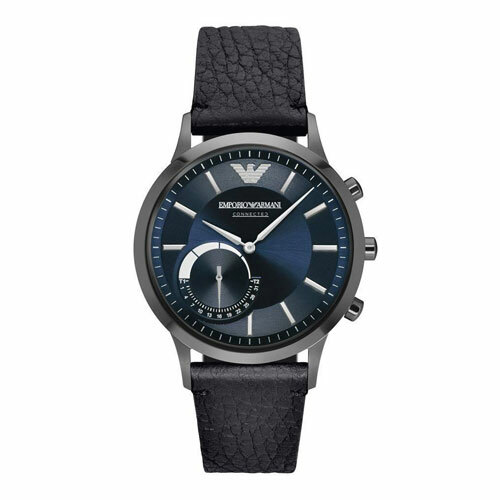 This hybrid smartwatch for men from Emporio Armani is compatible with both Apple and Android smartphones and once synced, will immediately begin to do those useful watch things like automatically converting timezones if you’re traveling. However, this is where the ‘normal’ watch functionality ends and the smart tech begins to take over with the ability to pull smartphone notifications and alerts as well as both controlling the music on your paired phone and even taking photos at the push of a button on the watch. The ART3004 men’s smartwatch allows both sleep and activity tracking and the hybrid design means a traditional coin cell battery powers the device, meaning you won’t need to continually charge up at the end of the day. With a razor-sharp Armani look that’s equally at home when paired with a suit or jeans, this watch makes an understated impact. If you’re looking for one of the best hybrid smartwatches designed for men and suitable for work and play, it’s hard to go wrong with this piece. The TH 24/7 is a lifestyle smartwatch for men that brings together smart functionality and classic design to form a semi-hybrid device which provides an impressive battery life alongside a host of connected features. 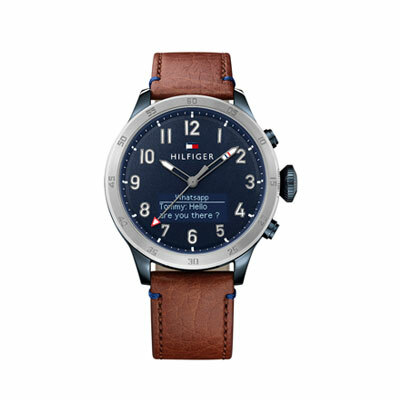 The first thing you notice about the TH 24/7 men’s smartwatch is that while the device features a traditional tonal dial, it also includes a notification display window within which you’ll be able to pick up notifications from a connected smartphone. Compatible with both iPhone and Android devices, the TH 24/7 delivers call and text notifications direct to the watch as well as event reminders that you’ve set previously on your phone. A handy night mode is included which effectively allows you to disable notifications and alerts if you’re looking to get some shuteye without the potential distraction of an always-connected watch. Activity tracking comes as standard as does a stated water resistance of 165 feet (50m) which is suitable for short periods of swimming but that isn’t recommended for longer sessions or diving. If you’re looking for one of the best smartwatches for men that maintains a classic lifestyle look, the TH 24/7 is a solid choice. 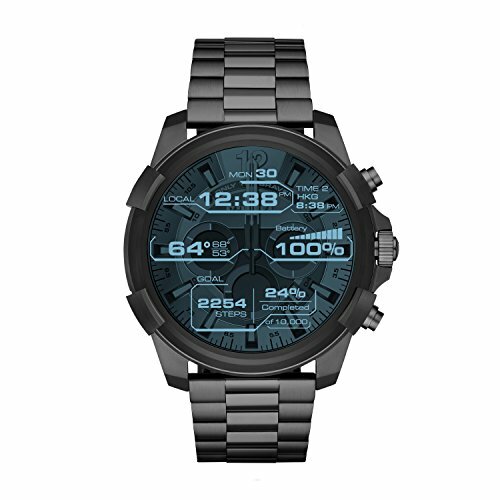 The WSD F20 is probably the eptiome of a high-tech connected men’s smart watch designed for outdoor use. 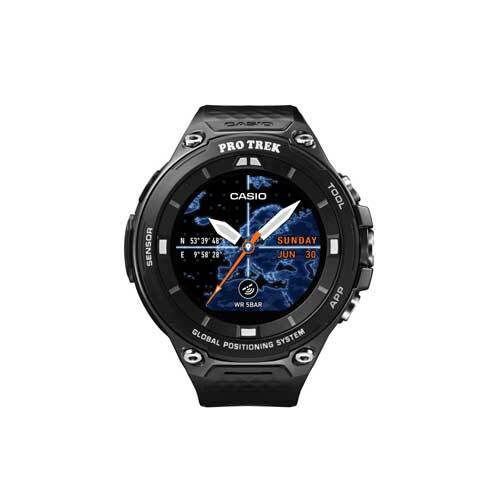 If the smart watch you’re looking for needs to prioritize and keep with an active outdoor lifestyle and all that comes with it, then the Casio Protrek is about as good as it gets. With inbuilt GPS, water resistance to 165 ft and a whole host of other monitoring features worthy of one of the best outdoor men’s smartwatches, the WSD F20 is a device that you’ll be glad to keep close at hand if you hike, travel, generally find yourself heading off the beaten track. 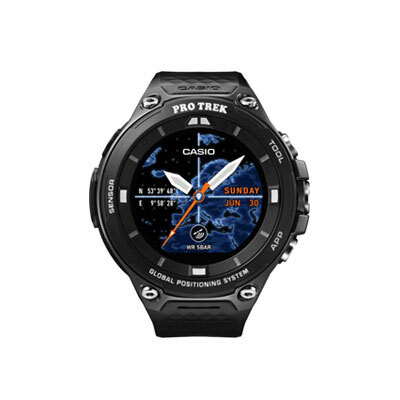 Casio have undeniably built a reputation as one of the most established names in the world of digital watches over the years so it should come as little surprise that they’ve embraced the move towards men’s smartwatches in such a big way. The WSD F20 is the brand’s answer to the ‘go anywhere’ smart watch for men and is loaded with every kind of smart feature you’d expect from a device of this kind. which provides a triangulated position from three satellites (Japanese ‘Michibiki’ QZSS, American GPS, and Russian GLONASS) to gather positioning data and let you know your exact position on the on-screen full-color map. On top of this smart navigation provision, the WSD F20 includes a variety of on-board sensors for detecting and monitoring everything from altitude and barometric pressure through to direction finding with the aid of a compass. 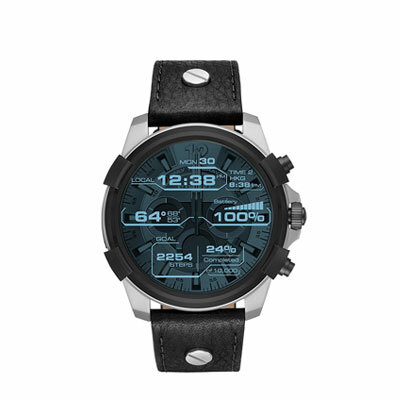 The Dylan is a compact touchscreen smartwatch from the Access family of connected MK devices and is solid blend of smart technology and high-end male fashion, both of which deliver a fully-featured and design conscious smartwatch for men. While the Dylan is aimed at a male audience, the wider Access range also includes a number of other highly popular devices such as the Access Grayson for men (see above) and the Access Bradshaw and Sofie which both have a female focus. 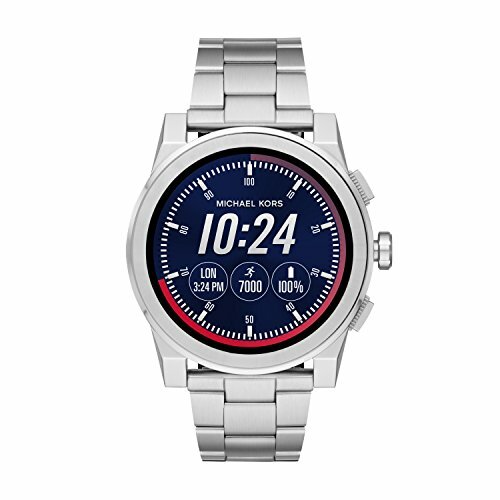 Like other touchscreen smartwatches from Michael Kors, the design of the Access Dylan centers around a 46mm dial and customizable display which is used to interact with the device and any others to which it’s connected. 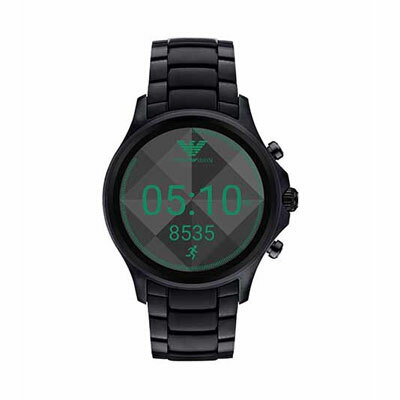 The key feature set of the Access Dylan is similar to that of other men’s smartwatches within this price bracket and includes activity tracking, phone notifications and music control as standard once you’re tethered to a compatible Android device or iPhone. On the topic of device connectivity, this smartwatch utilizes the Android Wear platform and a Bluetooth connection to wirelessly pair with your smartphone, at which point you’ll effectively have an extension of your cell on your wrist with the subsequent ability to receive call, SMS, and email notifications straight to the watch, while an inbuilt microphone allows you to use voice commands to search the web and set alerts. While battery life is on the shorter side with the Access Dylan, the ability to wirelessly charge is a nice addition and goes some way to making up for the increased charging frequency you’ll see if the watch is under heavy use. 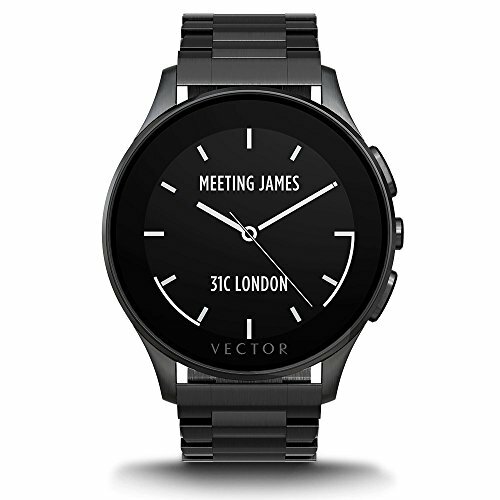 The Vector Luna is a display based smartwatch that offers that unique combination of a visual customizable screen alongside a battery life of up to 30 days at a time. What we particularly appreciated about the Luna is that it does such a good job of positioning itself between the relative strengths and weaknesses of both touchscreen and hybrid smartwatches, making a visible attempt to reconcile the best of both types of device in a solution which offers a lot of features in a compact and stylish case with admirable staying power. The standout feature of the Luna is its impressive 30 day battery life which given the level of functionality offered by the device and the on-screen display, is a difficult combination to come by in many of the best men’s smartwatches currently on the market. Alongside the prolonged power capacity, the Vector Luna is super-simple to setup and pair with a compatible phone or smart device running iOS, Android, or Windows and provides a ton of connected features once synced. delivers app-based activity tracking including the ability to monitor steps, calories, distance, and sleep as well as setting goals and monitoring your progress from companion app on your smartphone or tablet. Water resistance is good for up to 165 ft (50 m) and an always-on display and sensor controlled backlight ensure perfect visibility at any time of the day or night. The second Armani to make it onto our shortlist of best male smartwatches is the ART5002, a full color display touchscreen watch which perfectly highlights the fusion between wearable technology and design aesthetic. 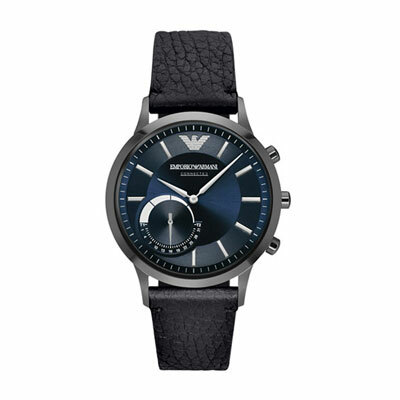 Serious enough to hold its own in the board room or on a first date, the Armani Touchscreen smartwatch for men delivers the complete range of functionality that typically define the best men’s smartwatches while still maintaining a composed and sophisticated look and durability that allows it to seamlessly work in formal and informal situations alike. Housed within a 46mm case with IP67 water resistance, the full color display of the ART5002 also allows the customization of the watch face from a number of dial options. 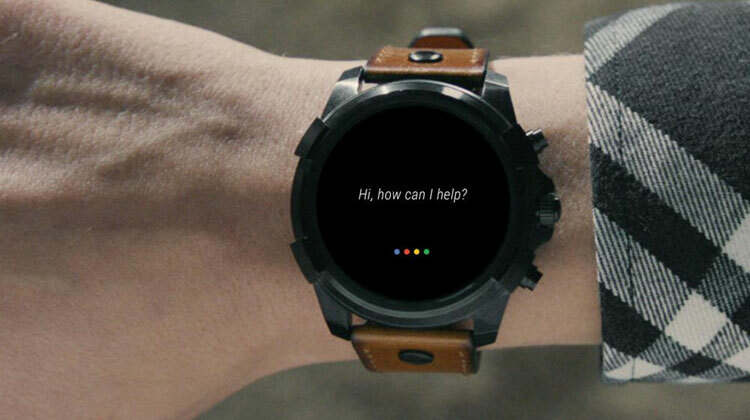 Android Wear allows the watch to sync via the app to both Android and Apple smartphones through a Bluetooth link and the inclusion of Google Assistant means you can quickly call upon the voice assistant at the touch of a button to pull up anything from weather updates to directions. The Armani ART5002 offers both activity tracking and music control and you can expect the battery to hold out anywhere between 24-48 hours depending on usage. 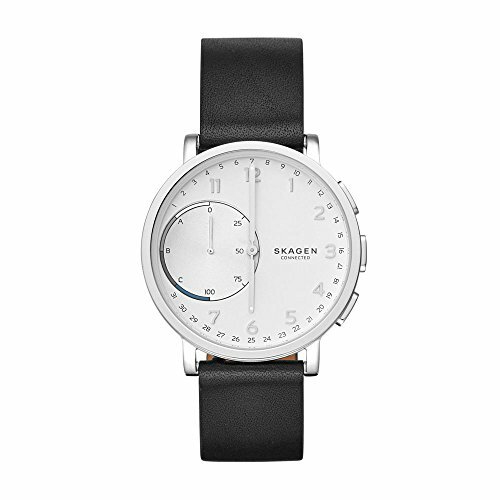 Danish watchmaker Skagen have a reputation for creating some of the most stylish yet simple modern watches and their Hagen hybrid smartwatch continues this tradition beautifully. Giving away barely a clue to the smart connectivity features contained within, the Hagen handles all of the notification tasks you’d want from a top men’s hybrid smartwatch in a totally subtle way. A Bluetooth 4.1 LE link allows the Hagen to wirelessly connect to a compatible smartphone (Android OS 4.4+ or iPhone 5/iOS 8.2+) from which point onwards, you’ll be fully synced to your cell and will receive subtle notifications in the form of a vibration whenever you receive a call, text, email, or update. 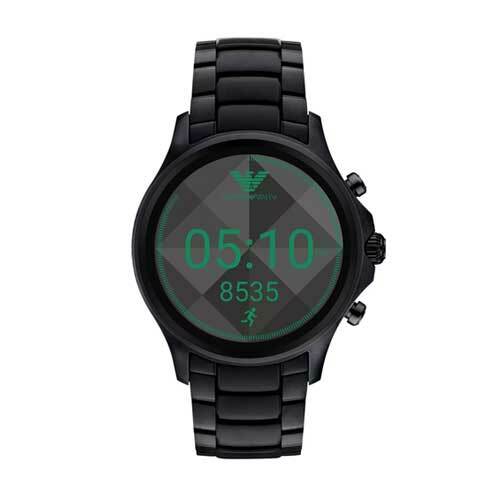 The case of this smartwatch is 42mm and includes what the brand calls the ‘Skagen Link’ button which is effectively a customizeable button on the body of the watch which can be mapped to a function on your phone such as taking a photo or controlling your music. An activity tracker is built into the design of the Skagen hybrid smartwatch and when paired with the app on your phone, allows you to monitor steps and calories as well as tracking your sleep. Being a hybrid smartwatch, one of the biggest advantages of the Hagen is the life of the battery which is estimated up to 6 months, meaning you’ve effectively got an always-on smartwatch that won’t drain the power throughout the day. When it comes to finding the best smartwatch for men, the good news is that the growth in the market has significantly increased the number of options out there with many well-known watch and fashion brands now coming in to challenge what was once the preserve of tech giants such as Apple and Samsung. As with everything in tech, more choice and more competition in the market means a wider variety of devices that not only look incredible, but also come loaded with connectivity features and won’t set you back a month’s wages to afford. Combine this with the fact that platforms such as Android Wear have made the compatibility between wearable devices and smart devices greater than ever and what you end up with is the perfect recipe for the ultimate smartwatch. Whether you want to find a male smartwatch for everyday use or special occasions, have a high budget or low, the latest men’s smartwatches now include some of the biggest names in the business and are looking to help you get it all done in half the time. There are a couple of things that ultimately go into making a smartwatch ‘smart’, but primarily, it comes down to the inclusion of features that allow the watch to wirelessly connect to and sync with other tech devices such as your smartphone and even other items within your wider smart home automation setup. Once this pairing is in place, you’re going to be able to access a two-way interface between the two devices such as notifications received by the watch (for example SMS or call alerts from your phone), as well as being able to transmit out from or control directly from the watch itself (activating the smart lighting in your home or controlling the music on your phone). You’re basically looking at the overall ability to increase your productivity by having access to the most important parts of your connected life accessible from your wrist. While we’ve all become totally accustomed to being able to pull on this kind of timesaving functionality from our phones, the ability to achieve this from a wearable is a considerable advantage. 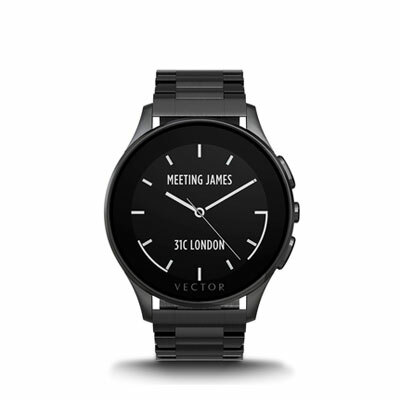 Typically you can expect to see a combination of some or all of the following features in the best men’s smartwatches depending on budget, brand, and personal requirements. The trade-off between which of these features you’ll typically see in a men’s smartwatch is unsurprisingly related to factors such as budget, physical size and battery life, with those carrying out most of the features listed above generally costing more, using more power and taking up more physical space. With that being said, more than ever there are now an increasing number of male smartwatches that are hitting that golden sweet spot of value, running time and compact size, making them both the jack of all trades and increasingly masters of all as well. When it comes to finding the best men’s smartwatch for your specific requirements, there are a couple of essential considerations that should always inform your decision. As with any watch, a men’s smartwatch needs to be practical while still adhering to the principle of good design. In order to be truly versatile (if that’s what you’re looking for in your watch) the style of your timepiece needs to be able to adapt effortlessly from situation to situation. The requirements of a smartwatch that you’re only going to wear during formal occasions are always going to be different to those of taking the kids out to the park or hitting the gym every day. The best men’s smart watches on the market today are designed to allow you carry out a wide range of productivity, fitness and entertainment related tasks with as little effort as possible and whatever your motivation or requirements, there’s a very good chance that there’s a combination of smartwatch and app out there to help you get it done. Compatibility – The crucial consideration here is to make sure that the watch works with your smartphone or tablet and that it’s compatible with the OS you’re running (Apple or Android). Size – The physical size and weight of any watch is always a priority when choosing the best tool for the job, but this factor becomes significantly more relevant when it comes to smartwatches. The rule of thumb here is that touchscreen watches are almost always bigger (and heavier) than hybrid smartwatches – see Touchscreen vs Hybrid below for more on this. Battery Life – When you’re choosing the best men’s smartwatch for your needs, how long it holds a charge is a key consideration. Power is one of those things that’s often overlooked when choosing a smartwatch, but when you’re looking to find the best men’s smartwatch for your needs, be sure to find a model that provides enough range to get the job done. Some models will provide enough battery power to last you for a couple of days or longer, but you’re probably going to see a subsequent drop in features the longer the battery life. Fitness and Activity Monitoring – Often combining music control and some kind of accelerometers and gyropscope sensors, smart watches are ideally suited to monitoring and tracking your activity and exercise regimen. If fitness is high on your list of priorities, make sure the watch includes activity tracking features such as calories burned and step counting. Similarly, water resistance can be a useful feature here – see Water Resistance below. Continual Time Display – Never forget that however many bells and whistles a smartwatch offers, the most important one is to tell you the time. With this in mind, it’s highly recommended to go for a watch that always displays the time on the screen, even when it’s not in use – this may sound obvious but it’s not always a given. Hardware – You’re going to want to check the material of both the case and strap as well as the durability of the construction based upon your likely usage. Are you wearing around the office and to the in-laws or in an active war zone (sometimes the last two can present similar conditions)? Check that the clasp or buckle is durable, easy to use and simple to replace or swap when/if needed. Water Resistance – The level of water resistance or waterproofing of watches can vary considerably and if you spend much time around water, whether you’re a lifeguard or just helping out with the kids at bath time, then you’re going to want to ensure that your watch can survive exposure to liquid. A smartwatch contains a lot of tech and so it’s critical that it’s protected against multiple conditions including water. Check the level of water resistance stated by the manufacturer and pay particular attention to the IPX rating as well as the depth rating. Durability – There are almost as many use cases out there as there are types of men’s smartwatch, but it almost goes without saying that some smartwatch designs are better suited for heavy wear and tear than others. If you’re likely to be in a situation where your timepiece is going to be facing a lot of tough environmental conditions, then a heavy-duty, military style watch is going to be a good choice, providing impact resistance. If you’re going to be mainly wearing around the office or in more formal situations, then the need for durability can be replaced with a higher focus on formal style. When it comes to looking at the best men’s smartwatches, there are effectively two main types of watch you need to think about. The first and arguably the best-known kind of smartwatch is the ‘touchscreen’, which as you’ve probably already guessed, is built around a a digital screen display rather than the traditional mechanical dial. 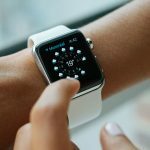 Touchscreen smartwatches typically sit at the higher end of the scale both in terms of functionality and price range but will often be the category of device providing the greatest scope for both connectivity and customization. On top of these factors, it’s also important to consider that with great functionality comes a larger footprint and you’re likely to find that while some of the best touchscreen smartwatches for men on the more compact side of the scale, you’re almost always going to have to pay more in exchange for this. Many of the best men’s smartwatches such as the Apple Watch and those from brands such as Michael Kors and Fossil are built around the touchscreen which can be thought of as a miniaturized tablet on your wrist, offering the ability to utilize apps and other visual display features. Hybrid smartwatches are those which have all of the hallmarks of a classic watch such as a dial with physical hands and movement, yet still offer wireless connectivity to a paired smartphone and subsequently can provide notifications or alerts directly to the watch when necessary. 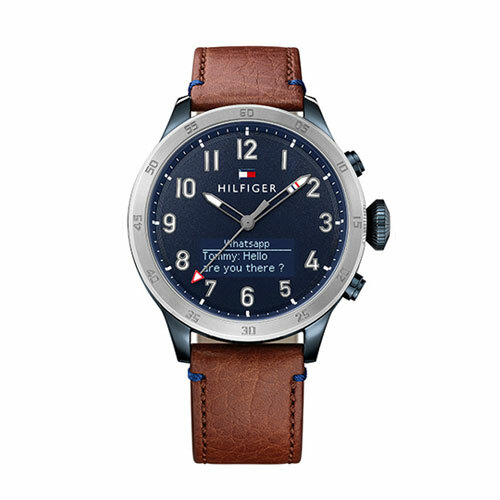 The absence of a digital display usually means that the alerts sent to a hybrid smartwatch take the form of some kind of haptic feedback or vibration to let you know there’s a new notification but may also show up as a change in color or flashing lights to get your attention. Probably the three major benefits of a hybrid over a touchscreen men’s smartwatch relate to price, size/weight and battery life. In all of these areas, hybrid smartwatches come out on top over their tactile counterparts although this is almost always at the expense of a greatly reduced feature set. If you’re looking for a smartwatch with a 6-month battery life, then a men’s hybrid smartwatch is the way to go, if however, you want to do things like view images on your wrist and change the digital display of your watch dial, a hybrid device almost certainly won’t cut it. For The Smart Home (forthesmarthome.com) is a participant in the Amazon Services LLC Associates Program, an affiliate advertising program designed to provide a means for sites to earn advertising fees by advertising and linking to amazon.com and affiliated sites. Our site will occasionally contain (paid) links to, and quotation of, material from other sites. For the Smart Home (forthesmarthome.com) is a participant in the Amazon Services LLC Associates Program, an affiliate advertising program designed to provide a means for sites to earn advertising fees by advertising and linking to amazon.com and affiliated sites. As an Amazon Associate this site earns from qualifying purchases.